Little boys bow ties, suspenders and ties for weddings. 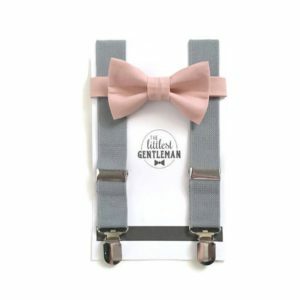 We love these United-States made, suspender and bow tie sets because there is nothing more adorable than a little one, dressed as a big kid (or adult). These handmade items can be customized in the colours and patterns of your choosing, and can be paired with any outfit. When we say handmade we mean, made to order, so you know they will be lookin’ fresh. 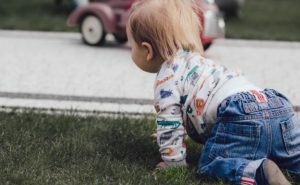 So they will dress up those Osh Kosh jeans, or be the perfect accent to your ring bearer’s threads. Find all your favourite accessories online through Etsy.